Editorial note: this may lead nowhere, no hard feelings if you stop reading what I think may be a nonsensical and misguided diatribe. Thanks for stopping by. Jealousy* (n.): resentment against a rival, a person enjoying success or advantage, etc., or against another's success or advantage itself. Pride (n.): a high or inordinate opinion of one's own dignity, importance, merit, or superiority, whether as cherished in the mind or as displayed in bearing, conduct, etc. *We decided to try something other than m-w.com, so tonight's definitions are courtesy of dictionary.com. Something else occurred to me in the last few days while watching the postseason through the eyes and hearts of different fandoms. If you've read this space regularly, you'll know that I subscribe to the belief that sports fans should be able to pick whom to root for in postseason matchups when their favorite teams are not involved. It's not full blown bandwagon hopping because no-one should really go crazy if the side they choose wins. It's more or less a way to watch the game with some rooting interest, even if you're not gambling or playing fantasy baseball. As a Cub fan, I'm a seasoned veteran of choosing sides in the postseason. 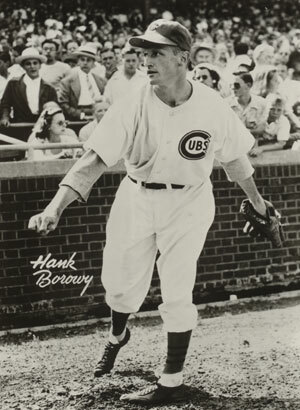 In fact, ALL Cubs fans have had to choose a consolation championship to root for in the World Series since 1945. This postseason, I've rooted for the Twins, the Yankees (the night Carl Pavano pitched for the Twins), the Rangers, the Reds, and the Giants. We're not here to talk about bandwagons or second favorite teams. Let's try to have an impartial look at Yankee fandom. As many of you know, I live in lower Manhattan. I say "many of you know" because I imagine only about a dozen readers, knowing most of you personally. So, as you know, I'm surrounded by Yankee fans, even married to one. They don't like that I'm rooting for the Rangers. What's the appropriate response to them? Is "bafangoo" good? Because of my neighbors, local media, and spouse, I have intimate knowledge of the angst Yankee fans feel when their team isn't winning. 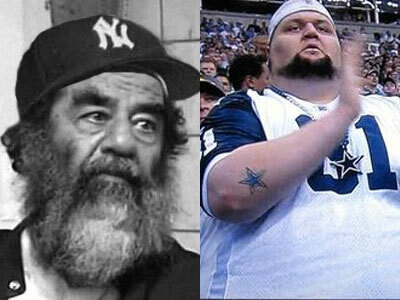 It is with a palpable disbelief and disgust that these fans react to the lead the Rangers have taken. Let's ignore the fact that the Rangers have been pummeling the Yankees. If it weren't for a complete R-Wash and bullpen meltdown in Game 1, the Yankees would have been swept. We sit here, as the teams board planes for Dallas to play a Game 6, exposed to the real 'Pride of the Yankees'. Lou Gehrig is the Iron Horse, a truly amazing story. These days, team pride, winning, even mystique and aura, make up the fabric of real Yankee pride. A high opinion of one's importance and superiority comes with 27 world championships. Where is the tipping point for the fans who have an inordinate amount of pride? Probably somewhere around five championships in the past fifteen years. and win a couple more of these. "The Yankees are LOSING?! Change the channel." I've seen this at home, and we've seen this at the ballpark. There were less than 5,000 people in the stands for the final outs of Games 3 and 4 in Yankee Stadium. These fans are spoiled. On the northside of Chicago, each postseason inning is a treasure. In the Bronx, it's a birthright. If the Yankees can't beat Cliff Lee, just throw $160 million at him in November and win the title next year. Other teams' fanbases don't have that mindset, which may lean towards the root of why people hate the Yankees, why people hate Duke basketball, the Lakers, LeBron James, the Dallas Cowboys... jealousy. People hate the Yankees, but they'd love their team to BE the Yankees. Who wouldn't want a team that competes EVERY SEASON? 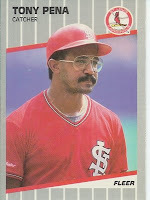 Maybe a communist, but even communists make great baseball teams. Just ask Yunesky Maya what it's like to play for Fidel. 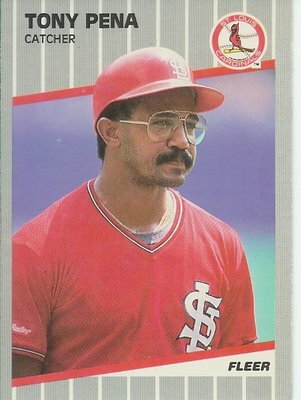 Tony Pena drove slowly on the bumpy dirt road, past banana trees. "Juan Marichal lived not so far away," he said softly. But his mind drifted elsewhere. He was quiet again. He could not stop looking at the trees. "People don't know how heavy bananas are," he finally said. "You drag them and drag them until you cannot move. People don't know. Your whole body hurts. You can't even sleep at night because your whole body hurts." Pena said he has never lived a day — not a single day as player or coach or manager — when he did not think about what might have been. He imagined himself pulling bananas, the way all his friends, all his loved ones, everyone he grew up knowing, ended up pulling bananas." People in the Dominican are so happy," he said. "That's what I love about my country. People are so poor. They have no money. They live in these little houses. Everybody thinks they must be very sad. But they are not. They are so happy." He cried again. And he drove over a ditch into a little town. In the center of town, there was a dirt field. Children played baseball. "Look," he said. "My country." I mean, sh*t man. That's pride, too. To digress, I have to go back and look at elements of the definitions. These are the parts of the definitions that I think are at the root of Yankee fandom. Pride: "an inordinate opinion of one's superiority"
Jealousy: "resentment against a rival's advantage"
Jealousy obviously comes from wanting what someone else has. It's a natural feeling. It's only a sin to covet thy neighbor's wife; it's okay to covet their car, yard, pool, deck, grill, windows, satellite package, Spanish style roof, or the way they seem to always win. Sure, you could be a better person and simply admire them, but isn't it just easier - and more satisfying - to be jealous of them. If they have some sort of unfair advantage, then forget it. Jealousy is almost a necessity. 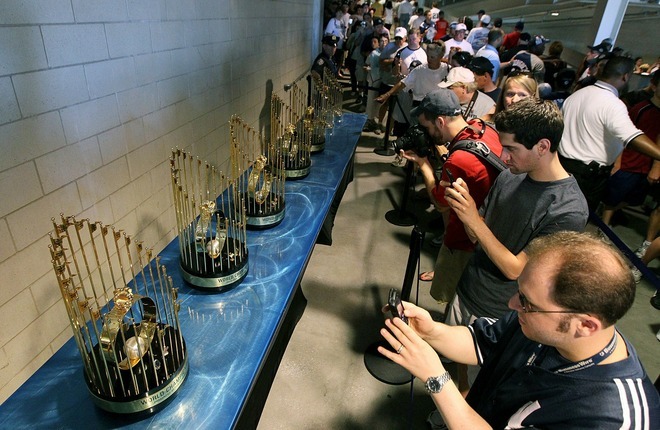 Yankee fans don't want to admit it, and haters won't let them forget it. The Yankees have an unfair advantage because of the size of the market they dominate and the amounts of revenues they bring in. It leads to the highest payroll in the league. You can't buy championships, but with an astronomical payroll, you can buy a perpetual contender. What's the simplest, most accurate explanation as to how? It's by covering up your mistakes. 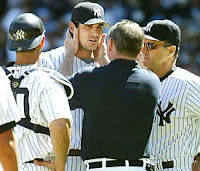 Did you accidentally overpay Carl Pavano by $35 million or AJ Burnett by $50 million? Don't worry about it; just sign Cliff Lee, a few good bullpen arms, and a couple more baseball lifers as front office executives. That's it. That's capitalism, the American way. We want to Win. Baseball fans, sports fans, business people, are the same: they want to win. Unless your ballpark hosts a daily cocktail party, with bikini drenched sunbathing in the bleachers, cough ahhemCubs cough, you're going to want to win. hate the Yankees and Cowboys? When did this become a socio/psychology blog? I can't believe if any of you made it to this point already, where the heck is this headed? I think we have to leave this discussion here because it's just getting too weird. The thought process now goes to hatred of rivals that do not have an obvious advantage. Why do people hate the Cowboys? Football traditionally has a salary cap. Is it how pride can lead to an inordinate amount of superiority? Does the hatred of Duke basketball come from a more immature version of jealousy? They don't really have an unfair advantage, compared to most NCAA teams. Duke haters are jealous of their success. Maybe they just hate the attitude of Duke players. Christian Laettner stepped on that guy's chest and basically thought he was entitled. They're smug. They're arrogant. That's right, isn't it? It's funny because someone who's smug will never admit it. There's a fine line between confidence and arrogance, and it's almost like beauty in that it belongs in the eye of the beholder. bottom line, you're just a fan, rooting for a perpetual loser with a decent sized payroll in its own right, (who overpayed for soriano and zambrano to name a few) that's simply hating on the yankees. no denying money factors in, but the twin, cardinals and a's have proved that money isn't everything. good management and positive circumstances(aka luck) dictate success.